Pinto beans, and all other dried beans, are an excellent source of fiber and protein. 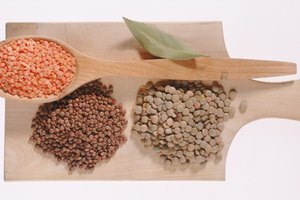 The problem with beans is the intestinal gas and bloating that can occur after eating them. 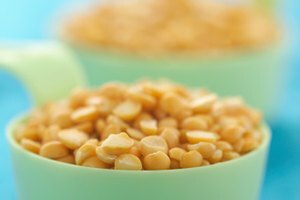 According to a publication by East Carolina University, this gas is caused in part by indigestible oligosaccharides that are contained in the beans. There are some cooking methods that can help eliminate the problem. 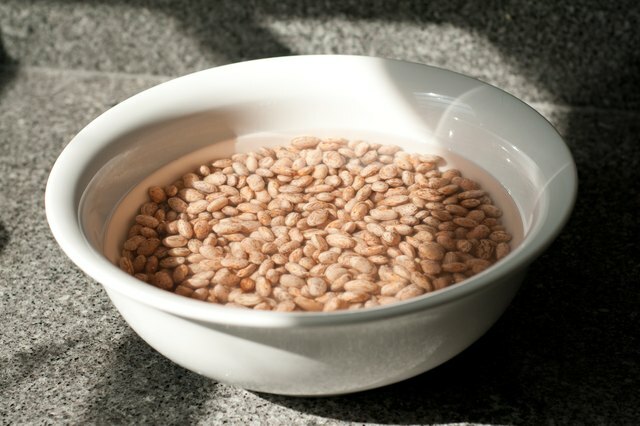 Soak pinto beans overnight in water before cooking them. They should double in size and be smooth. Soaking softens the beans and their skin. It also leaches out raffinose sugars. The University of Michigan Integrative Medicine Clinical Services states that these sugars are a cause of gas because humans lack an enzyme that is required to digest them. Soaking them allows the bacteria in the gut to feed on the sugar resulting in gas. Mix 1/8 teaspoon of baking soda in the soaking water to help pull the sugars out of the beans. 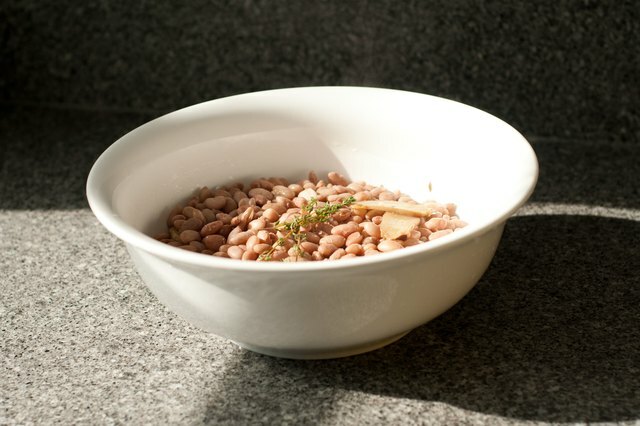 The water that the pinto beans are soaked in should always be discarded before cooking. Some cooks change the water several times during the soaking process to soak out as much of the gas-causing sugars as possible. 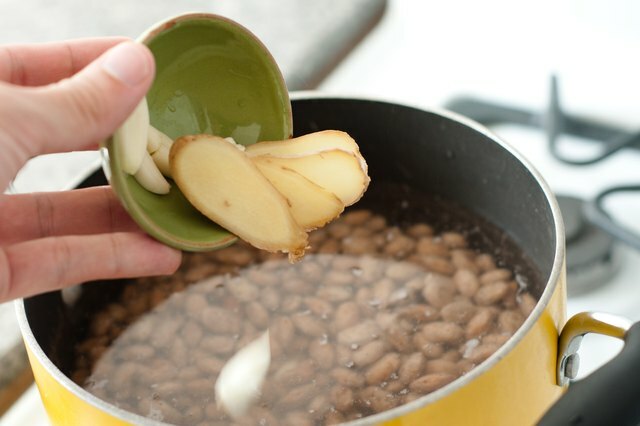 Add other foods or spices such as ginger, fennel and garlic when cooking pinto beans. It is thought that these help reduce the amount of gas and bloating that are produced. Try adding epazote. It is commonly used when cooking beans in Mexican households. 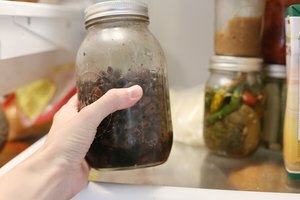 It imparts a strong flavor but, more important, it has been reported in Garden Mosaics by Cornell University to reduce gas. It can be found ground or whole; if whole, use a spice bag as it will be woody. Also try using kombu, a kind of seaweed that can be purchased at Asian markets. 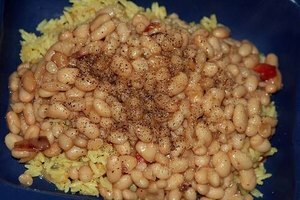 Cook it in the pot with the beans; once cooked it will not be noticeable. Cook pinto beans thoroughly in fresh water after soaking. Do not add salt to the beans until they are done. Cook them for 1 1/2 hours or until tender. The amount of time depends on the moisture content and age of the dried pinto beans. They are done when they are soft and easily mashed. 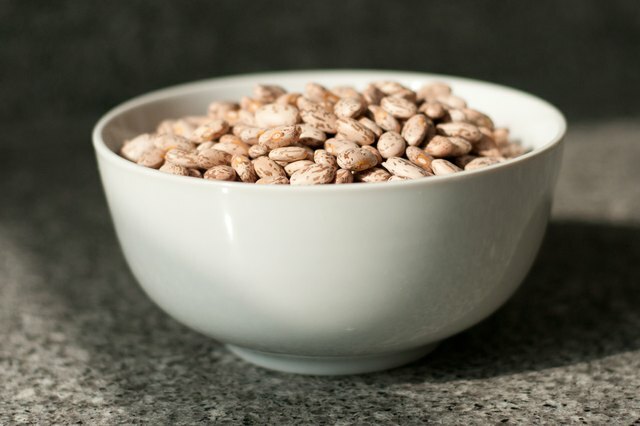 Eat a small serving and work your way up to larger servings to give your body a chance to adjust to eating pinto beans if they are not a regular part of your diet.